I love working in a friendly environment with a family atmosphere, and I absolutely love watching people transform during treatment. Seeing a person the day their braces come off is the best — their smile is priceless! 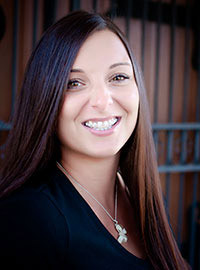 Robin joined Coldwater Orthodontics in 2010, when her two youngest were getting braces here. She welcomes patients and families with a big smile, takes care of scheduling, and helps with their insurance and payment needs. Robin loves working in customer service because it allows her to connect with and help people. Since joining our team, she has attended and planned many continuing education meetings, both in and outside the practice. Outside of work, Robin loves camping, especially with her family. A few things that make her smile are her husband Derek, her four children, her six grandchildren, and her pets! 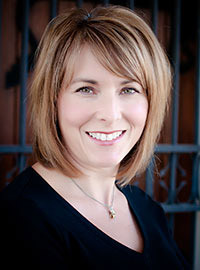 Jennifer has been part of Coldwater Orthodontics since 1991. She meets with our new patients and families, walks people through their initial evaluations and consultations, and handles the post-treatment records and consultations. 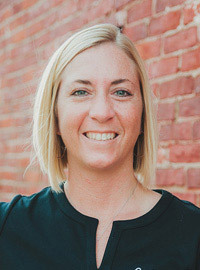 Jennifer holds both a BS and an MBA and has completed multiple continuing education courses on practice management, treatment coordination, and general orthodontics. Jennifer shares her life with an amazing and supportive husband, Greg, and two kids, Vinnie and Lela, who keep her entertained and exhausted at the same time. The family also includes their dog, Buddy, who loves to swim, go on boat rides, and eat Kleenex! In her spare time, Jennifer volunteers at school, attends soccer games and ballet recitals, and is an active member of the Coldwater Exchange Club. I love watching a child’s personality and confidence grow as their teeth straighten. I’ve wanted to work with cleft palate children since I was young, too, and here I have that opportunity. We are family and we work hard so our patients and their families feel like part of our family. At Coldwater Orthodontics, we all strive for perfection so that all of our patients love their smiles! Suzy joined our practice in 2000. She oversees our clinical operational flow and assists Dr. Whateley chairside with different procedures. 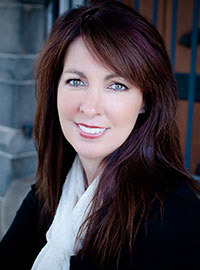 Suzy holds an associate’s degree in dental assisting and an orthodontic certificate. When she’s not working, Suzy enjoys home remodeling projects, camping, and drag racing. Her large family and tortoise keep a smile on her face! I love getting to know each and every patient and seeing the change in a person’s smile from start to finish! It’s rewarding to work with a great doctor and team. We are professional, caring, organized, and dedicated to providing the best treatment for the most amazing smiles! 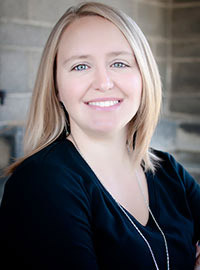 Morgan joined Coldwater Orthodontics in 2013. She provides chairside assistance, changes wires, and checks appliances. Morgan was drawn to orthodontics since having braces when she was 16; she loves helping others achieve a great smile, too! Morgan has completed the Trapezio Level I and II orthodontic assisting programs and attends many continuing education seminars. Some of Morgan’s many hobbies include: rescuing animals, kayaking, swimming, traveling, and cooking. Her two kids, Mason and Anna, and her many pets always make her smile! I have always had an interest in helping others and love building relationships with patients and their families. Coldwater Orthodontics is unique because we make our patients feel at home. We put their needs first to achieve efficient treatment, and in this way our orthodontic team is one-of-a-kind — just like the people we care for! Bri has been with us since 2015. She works in our clinic: assisting Dr. Whateley chairside, checking orthodontic appliances, and changing wires. Along with her coworkers, Bri enjoys continuing education seminars along with Dr. Whateley’s monthly mini-lectures. Bri’s hobbies include being an avid Michigan fanatic, attending Michigan sporting events, exercising, relaxing on the lake, traveling, and reading. Her husband and Miniature Schnauzer make her smile! I enjoy working at Coldwater Orthodontics for three reasons: it is a very welcoming environment, we work with people’s schedules to the best of our ability, and we make sure each patient leaves with their best smile. This is an amazing practice, where every patient receives one-to-one attention throughout their orthodontic journey! Naybet joined us in 2016, fresh out of high school. He maintains OSHA standards, prepares the treatment area, and sterilizes it before and after, including all instruments. 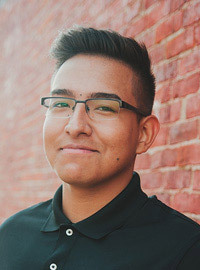 Naybet has completed multiple orthodontic courses, has started his certification for Level 1 Assisting, and is attending KCC in pursuit of a career in the dental field. I have always had an interest in orthodontics. I love seeing patients, learning about orthodontic treatment and business management, and helping people get a great smile — all in a friendly environment! Kira joined Coldwater Orthodontics in 2018. She maintains OSHA standards, sterilizes instruments, handles set-up and sterilization of the treatment area, and assists with new patients. A former patient here, Kira says that her orthodontic experience with Dr. Whateley has inspired her to become an orthodontist! Outside of the office, Kira enjoys spending time with her family, dog, and horse. She is also currently working to earn her Level I orthodontic assisting certification. I love working with people and talking with our patients and their families. Coldwater Orthodontics offers a family-like atmosphere, and Dr. Whateley is dedicated to perfection and expects the same of his staff. He and my coworkers treat patients like family and are dedicated to making the orthodontic experience great for everyone! Mary Lou started with Coldwater Orthodontics in 1984, was with us until 1993, then returned in 2018. She greets patients and parents with a warm smile, to make people feel welcome and at home. She assists with scheduling needs, as well as financial and insurance matters. Mary Lou has an associate’s degree in dental laboratory technology. She has managed an orthodontic lab, worked as a new patient coordinator, and managed the front office. Mary Lou is married to Dr. Whateley. They share three children; four grandchildren — Vinnie, Blake, Lela, and Quinn; and two Goldendoodles, Clifford and Cleo. In her spare time, Mary Lou loves being with her grandchildren, as well as volunteering at church and school, and doing anything creative.